VNC server on Linux servers can greatly simplify remote administration. One of the scariest things about Linux for most people is the use of commandline line work. SSH remains the most commonly used remote administration tool. But if you are not too comfortable with SSH and commandline, you may want to setup VNC Server on Ubuntu or other Linux servers. Setting up a Linux server is a handy way of managing your files over your home network. Setting up an NFS share or SAMBA share on a home server is a common application, among other home server uses.. However, you might want to be able to access USB drives connected to your server or get access to other Ubuntu programs remotely. For this, we will be using Tight VNC server for Linux. combined with apps such as a Guacamole, you can now have remote desktop access to your server from anywhere using a HTML5 enabled browser. Sounds exciting? In this post, I will show you how to setup VNC server on Ubuntu 18.04 Bionic Beaver. 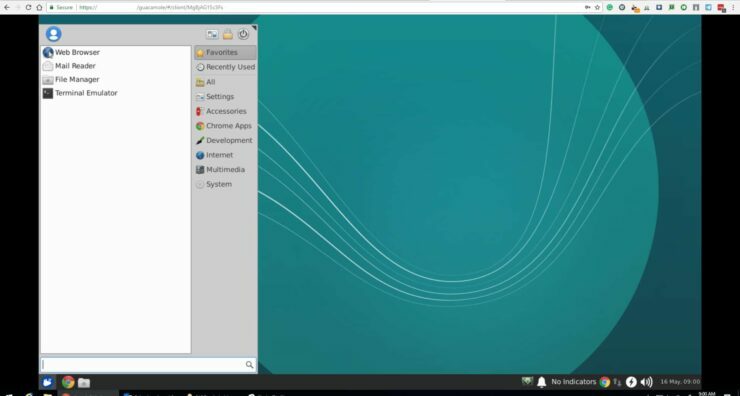 I will also show you to use VNC viewer in order to access your home server remotely. VNC stands for Virtual Network Computing and is a great way of accessing your server remotely. VNC is platform-independent, having clients and servers for many operating systems using a graphical user interface (GUI). VNC is a protocol like SMB or NFS. Unlike these protocols, VNC has different variations, all with different features and price points. Since we're interested in free and open-source here at SmartHomeBeginner, we'll be using TightVNC for this guide. There are other options such as tigervnc, vnc4server, and x11vnc. But TightVNC is one of the most common ones, it is tried and test low no RAM usage, and generally considered a great solution. TightVNC is a free VNC software package that allows users to utilize the VNC protocol on their network. In other words, this will allow you to view a desktop GUI on your server from another laptop, on your smartphone, or even on the internet using SSH or Guacamole as shown below. So let's see how to install VNC Server on Ubuntu. 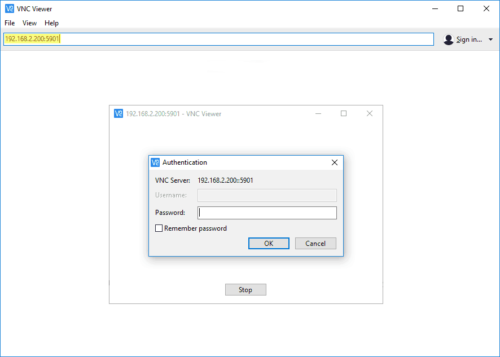 If you already have a server, let's find out how to add VNC to home server. This Ubuntu VNC tutorial is split into several sections. First, we will see how to setup VNC server on Ubuntu, then Configure it, and followed by setting up VNC viewer. We will also cover some security aspects and autostarting VNC server. Depending on what flavor of Ubuntu you are using, you may already have a desktop environment. If not, we will have to install a desktop environment. We have previously covered several lightweight desktop options for Ubuntu Server. You only need one of the following options. Xfce is my favorite desktop environment for home servers. It is very lightweight by nature, easy to use, and is one of the top choices for a VNC server. Note: adding ‘-y ‘will stop the system giving information about the package sizes, and asking if you want to continue. Remove this if you need to keep an eye on space usage. Alternatively, you could configure VNC server on Ubuntu with Xubuntu Core. Xubuntu-Core looks visually appealing and yet lightweight without apps such as IM client, mail client, etc. that are not needed on a server. Note: The caret(^) at the end of the above command is not a mistake. Xubuntu-Core is the DE installed on my new Ubuntu 18.04 Server built using Docker. If you want to go with, Gnome, the default desktop environment that ships with Ubuntu then I suggest installing a lighter version of Gnome using the --no-install-recommends switch. If you want the full desktop with all the bells and whistles then you can remove --no-install-recommends switch. Once TightVNC installation completes, it's time to configure VNC server on Ubuntu according to your preferences. You will be prompted to enter a password for TightVNC (as shown below), and if you want, a read-only password. A read-only password is great if you want to share your screen with others. The results of this output are below. Highlighted in yellow are the X values you will need to use with the vncserver -kill :X command. You can add any number of Xfce applications to the list above. You may find various packages available for addition here. Again, you may add or delete applications to the list above. That's it you are done configuring VNC server. Replace 1280x720 with whatever resolution you prefer. Note that higher resolution and color depth can degrade performance. If you want the challenge of using commandline, you may want to read our introduction to SSH And htop. For all others, there is VNC Viewer. Let's continue to configure VNC. Viewing your remote VNC server depends on the client platform (Windows, Linux, Mac, Android, etc.). Follow the instructions applicable to your platform. Download the VNC Viewer client for your platform from here. MobaxTerm is my favorite SSH client on Windows and it does VNC too. There are also iOS and Android apps available from your respective app stores. Alternatively, you can configure Guacamole and access your server through any HTML5 browser. Once you enter your password, you will have access to desktop and can control and interface your desktop, remotely. What do you do if you are away from your server's network and want to connect to your VNC Server through the internet? You can set port forwarding on your router to forward port 5901 to your VNC Server and then connect remotely using the VNC client by providing your VNC Server's WAN IP address or domain name if you have one. However, it is strongly recommended that you do not make your VNC server directly open to the internet. This is a big security risk. The recommended method is to route your VNC connection through an SSH tunnel. Replace USER with the username on your VNC Server and IP/DOMAINNAME with your server's WAN IP address or a domain name if you have one. What the above command does is that it routes port 5901 on localhost to port 5901 on the remote host (IP/DOMAINNAME) through a secure tunnel. All information is transferred through this secure tunnel, protecting your privacy and security. The -N option is a security measure to allow only port forwarding and not execute any command on the remote server. The -f option makes SSH go to the background just before command execution. You should now be able to fire up your Linux or Ubuntu VNC client and establish a VNC session with localhost as hostname and 5901 as port. On Windows, you could use PuTTY to setup a VNC session through a secure tunnel. Open PuTTY and (1) create a new SSH session as shown in the picture below. Provide an IP address, hostname, or a domain name (2) and finally provide the SSH port (3). Then navitage to Tunnels (4), provide 5901 as the port on the source VNC server (5), provide localhost:5901 as the port on the local system (6), and finally click Open (7) to create an SSH tunnel for VNC. Then open up any VNC Viewer (there are several free ones) and start a new VNC session with localhost as hostname and 5901 as port. There is another option that I really like for remote VNC connections from the internet: Guacamole. I came to know about this app while building my Docker Media Server and I love it. Guacamole not only allows VNC sessions using an HTML5 browser (most modern browsers) but it also allows SSH, SFTP, and RDP (remote desktop to Windows systems). With guacamole, I do not need a VNC client/viewer. All I need is a browser. Setting up Guacamole is out the scope of this guide. But I will cover this as a separate guide in future. If you take this route, I strongly recommend setting up 2-factor authentication using services such as DUO, for security. There are two ways to autostart VNC Server on Ubuntu. Now, VNC Server should start automatically during boot and be available for you at port 5901. Cron restart method may not work for everybody because it does not create a service, which means you cannot start, stop, or restart VNC server. You will have to kill it and start again. Creating a service, on the other hand, gives you that ability. Add the following contents to it. Replace USER with your username in two locations. Press Ctrl+X, Y, and finally Enter to save and exit nano editor. You may think that reading a 2500-word article to setup VNC Server on Ubuntu is a lot. But if you know what you are doing, it only takes about 5 minutes to install and configure VNC server. 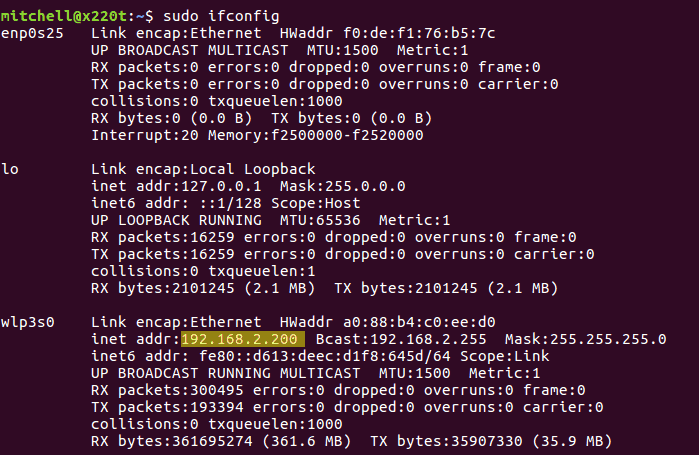 The default resolution that Ubuntu TightVNC server provides is pretty ugly. Today's internet speeds can support much higher resolutions. Therefore, I strongly suggest running your server at a higher resolution but may be lower depth. 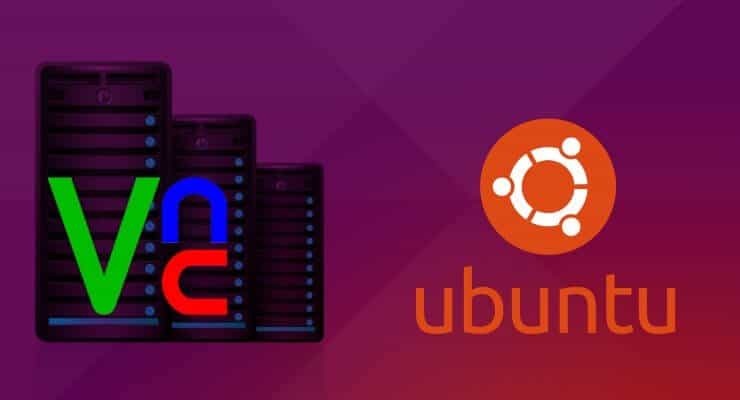 Ubuntu is the most commonly used server OS, so in this guide, we chose to show how to setup VNC Server on Ubuntu. But this guide is essentially the same for most Linux operating systems. If you do not like the commandline work then the truth you may not enjoy Linux. Once you become a good commandline user, you will appreciate the convenience of administering a server with just the keyboard and without having to move your hand to find a mouse. But if you still prefer a GUI, then I hope this Ubuntu VNC Server guide helped you.